X Its body, which is made of soft silk, hardens over time. When cracks appear, evolution is near. X Sein aus weicher Seide bestehender Körper erhärtet mit der Zeit. Sobald Risse sichtbar sind, steht die Entwicklung kurz bevor. X Son corps, constitué de soie fine, durcit avec le temps. Si vous voyez apparaître des fissures, c’est qu’il va très bientôt évoluer. X Está formado por seda que se endurece poco a poco. Si se resquebraja el capullo, está a punto de evolucionar. X Il corpo di soffice seta si indurisce nel corso del tempo. Quando appaiono crepe, l’evoluzione è vicina. X 부드러운 실로 된 몸은 시간이 지나면서 단단해진다. 진화가 임박하면 갈라지기 시작한다. Y It never forgets any attack it endured while in the cocoon. After evolution, it seeks payback. Y Es vergisst keinen Angriff, den es im Kokon erdulden musste. Nach der Entwicklung sinnt es auf Rache. Y Rancunier, il n’oublie aucune des attaques subies dans le cocon et se venge une fois qu’il a évolué. Y Jamás olvida a quienes lo atacaron mientras estaba en su capullo. Cuando evoluciona, busca venganza. Y Non dimentica mai gli attacchi subiti dentro il bozzolo. Dopo l’evoluzione cerca di vendicarsi. Y 고치에 들어가 있는 사이에 받은 공격은 진화해도 잊지 않고 반드시 앙갚음한다. 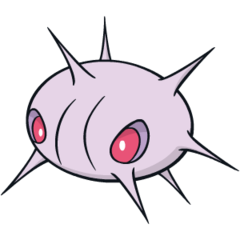 Omega Ruby If it is attacked, Cascoon remains motionless however badly it may be hurt. It does so because if it were to move, its body would be weak upon evolution. This Pokémon will also not forget the pain it endured. Omega Ruby Wenn es angegriffen wird, bewegt sich Panekon in keiner Weise, egal, wie schwer es dabei verletzt wird. Wenn es sich bewegen würde, wäre sein Körper zu schwach für seine Entwicklung. Die Schmerzen allerdings vergisst es nie. Omega Ruby Lorsqu’il est attaqué, Blindalys reste immobile, même s’il a très mal. En effet, s’il bougeait, son corps serait affaibli lors de son évolution. En revanche, ce Pokémon n’oubliera pas la douleur endurée. Omega Ruby Si atacan a Cascoon, se queda inmóvil aunque le hayan hecho mucho daño, puesto que, si se moviera, perdería fuerzas para evolucionar. Nunca olvida el daño que le han hecho. Omega Ruby In caso di aggressione Cascoon rimane immobile indipendentemente dalla violenza dell’attacco subito. Questo lo aiuta a evitare di indebolire il suo corpo in vista dell’evoluzione. Non dimentica mai il dolore provato. Omega Ruby 움직이면 튼튼한 몸으로 진화할 수 없어서 아무리 괴롭혀도 가만히 있는다. 그때 느낀 아픔을 계속 잊지 않는다. 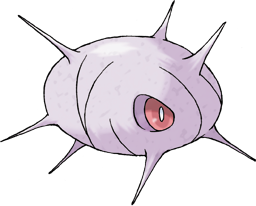 Alpha Sapphire Cascoon makes its protective cocoon by wrapping its body entirely with a fine silk from its mouth. Once the silk goes around its body, it hardens. This Pokémon prepares for its evolution inside the cocoon. Alpha Sapphire Panekon baut seinen schützenden Kokon, indem es seinen Körper mit feiner Seide einwickelt, die aus seinem Mund austritt. Wenn sein Körper mit Seide bedeckt ist, wird diese hart. Im Kokon wartet es auf seine Entwicklung. Alpha Sapphire Blindalys fabrique son cocon protecteur en s’enveloppant dans la soie qui sort de sa bouche. Une fois la soie autour de son corps, elle se met à durcir. Ce Pokémon prépare son évolution à l’intérieur du cocon. Alpha Sapphire Cascoon forma el capullo que lo protege enrollándose por completo en la seda que libera por la boca. Cuando está totalmente recubierto, se prepara para evolucionar en el interior del capullo. Alpha Sapphire Cascoon crea il bozzolo protettivo avvolgendo interamente il proprio corpo con finissima seta secreta dalla bocca. Successivamente la seta si indurisce. A questo punto Cascoon si prepara all’evoluzione. Alpha Sapphire 카스쿤의 몸은 입에서 나온 가는 실이 몸을 둘러싸 딱딱해진 것이다. 고치 안에서 진화의 준비를 하고 있다. Ruby Cascoon makes its protective cocoon by wrapping its body entirely with a fine silk from its mouth. Once the silk goes around its body, it hardens, This Pokemon prepares for its evolution inside the cocoon. Sapphire If it is attacked, CASCOON remains motionless however badly it may be hurt. It does so because if it were to move, its body would be weak upon evolution. This POKeMON will also not forget the pain it endured. LeafGreen Its body, which is made of soft silk, hardens over time. When cracks appear, evolution is near. Diamond It is hot inside its cocoon. All the cells in its body create the energy for it to evolve. Pearl Encased within its tough cocoon, it endures attacks. It never forgets the appearance of its foes. Platinum It never forgets any attack it endured while in the cocoon. After evolution, it seeks payback. SoulSilver It endures attacks with patience, because the more pain before evolution, the sturdier it becomes. Black It never forgets any attack it endured while in the cocoon. After evolution, it seeks payback. White It never forgets any attack it endured while in the cocoon. After evolution, it seeks payback. White 2 It never forgets any attack it endured while in the cocoon. After evolution, it seeks payback.